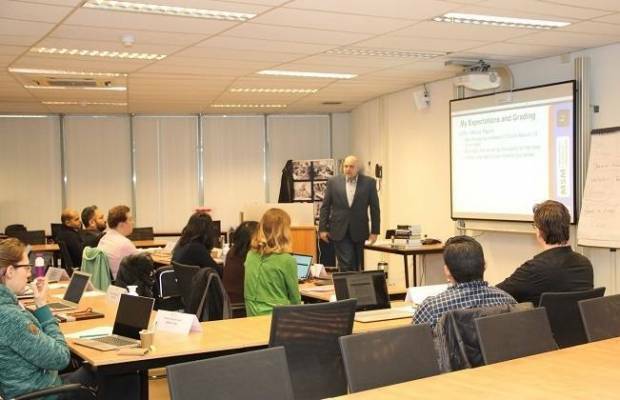 In January, MSM welcomed the Executive MBA students again in Maastricht for their Strategic Orientation module with classes in Economics for Managers and Global Corporate Strategy. Ms. Olga Mykhaylenko, new Executive MBA student, experienced her first classes as productive, challenging and intense. The great group of students also added a lot of value to the classes, she indicates. During the Economics for Managers course, taught by Aad van Mourik, the students are introduced to economics and study the functioning of markets, both on micro and macro level. 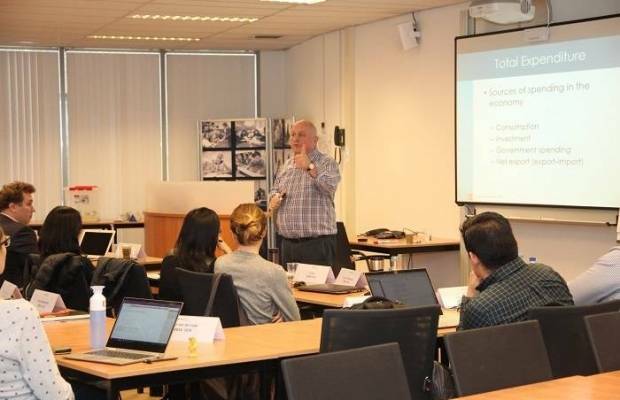 The Global Corporate Strategy course, taught by Oliver Olson, introduces the students to a complete overview of the strategic management processes. Each part of the course is illustrated through modern case studies in which the students investigate issues of companies operating domestically and globally. The case studies encouraged Ms. Olga Mykhaylenko to find new ways in searching, processing and presenting information. As part of the module, the students also enjoyed several work visits to the European Commission, DG ARGI and to the KBC Group. “The company visits gave us a lot of impressions: from a highly political European Commission to an inspiring visit to trade banker DG ARGI. At KBC Group we received a fantastic workshop with useful insights into analyzing and comparing the key measures of economic performance across various markets,” said Ms. Olga Mykhaylenko. Dr. Andy Zynga, CEO at EIT Food, inspired the students with his experience in Innovation Management during his guest lecture. The MSM Executive MBA is a part-time program designed to balance the pressures of work with study. The program is specifically designed for working professionals. The practice-oriented approach enables students to apply the newly gained knowledge and skills directly to the daily practice of their organization. Would you also like to learn more about the MSM Executive MBA? On Saturday, 13 April 2019 MSM will organize its next Open Day. During the Open Day, you can meet with MSM’s faculty, staff and current Executive MBA students. You will also have the opportunity to follow a class to experience MSM’s interactive teaching approach. More information about the Open Day and the registration link can be found here. The next intake of the Executive MBA will start on 12 October 2019.